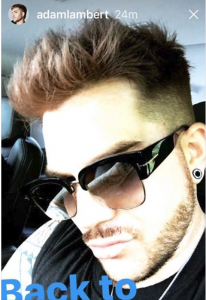 Adam Lambert pulled another one this weekend. His first post on Instagram hinted something was up. His next post left no doubt. 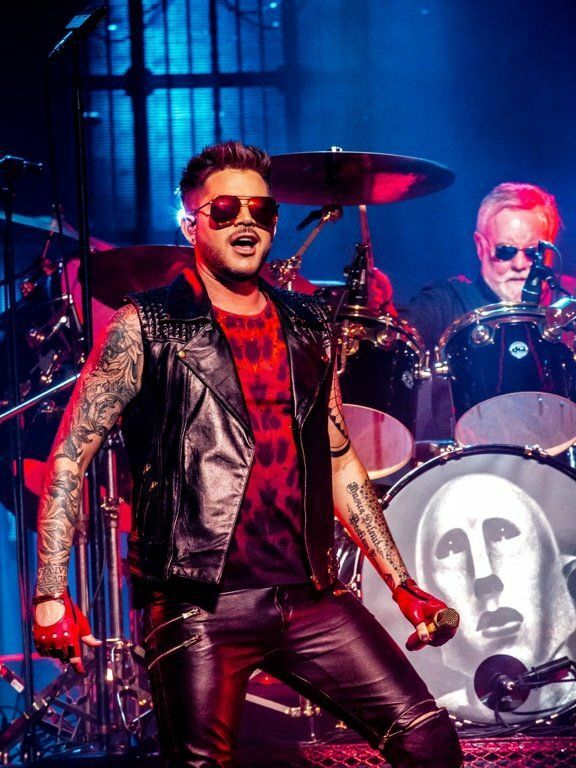 His appearance with Queen last night at Mohegan Sun Arena, Uncasville, CT confirmed Adam is the King of Change! I used this shot so there was no confusion as to which tour this was from! Adam gave several interviews in Canada last week. They were extended, went in deeper on topics we’ve heard about before, and were all around charming. I really enjoyed hearing him speak about how Queen is now influencing his new music. It’s funny to hear him talk about his red hair too! More from ET Canada. He mentions seeing his fans in the audience. More from ET Canada. Talking about Remy Malek as Freddie. ET: Is there a new album coming? 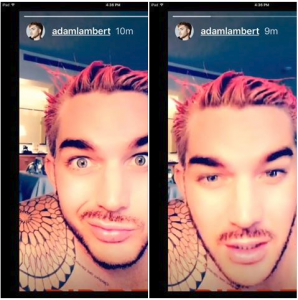 Adam: There is a full “project” coming. But there is music and it’s finished and I love it! I think being with Queen for the last couple of years has kind of finally really rubbed off on the project and I’m kind of returning to the spirit of glam rock that I started out with! Love the interviews. Thank you for sharing. Went to the Queen + Adam Lambert concert on July 21. Was wonderful to hear & see Adam again. Back to basics. The red was fun while it lasted. Thanks for sharing the interviews. I was so lucky to see him and Queen in Washington DC. i LOVED every second of it. i didn’t want it to end.